In the morning visit the Mossman Gorge Gateway Centre and enjoy an indigenous presentation by the traditional owners of the gorge, the Kuku Yalanji people, before boarding your eco shuttle for the transfer into Mossman Gorge. Your driver/guide will take you for a guided walk, sharing their knowledge of this enchanting rainforest environment. Learn about the fascinating secrets of one of the world’s oldest rainforests. Continue to Cape Tribulation and walk on this world-renowned rainforest beach and admire the coastline and fringing coral reef from the Kulki Lookout. Following lunch and after winding through the rainforest of the Alexandra Range, enjoy the spectacular lookout over the Daintree River estuary, Snapper Island and beyond to the Coral Sea. 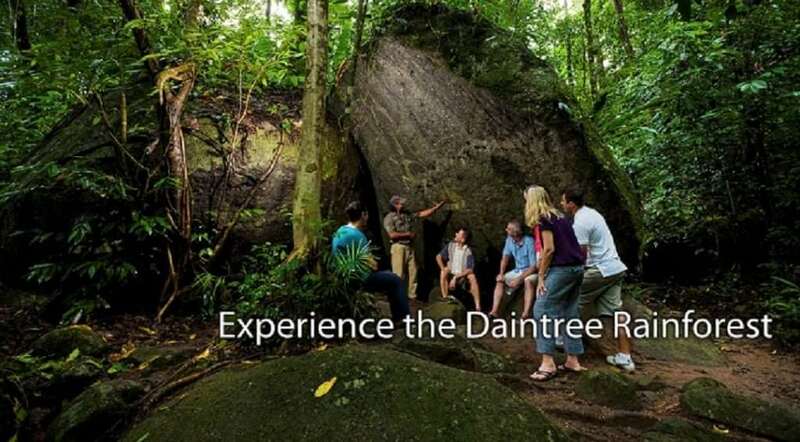 One of the highlights of the day is a one hour Daintree River cruise. Gain a better understanding of this wildlife environment, discovering the habitat of birds, tree snakes, unique plants and of course the estuarine crocodile.